After getting through the first episode of Gotham I thought that it had some promise but ultimately suffered from Pilot Syndrome. It had too many plots, too many characters, and too many potential Batman villains that they introduced. But the potential was there, there are some great characters like Donal Logue’s Harvey Bullock, and the look of the show has a great feel to it. This second episode gave the show a chance to dial things back a little bit and bring things into a tighter focus. 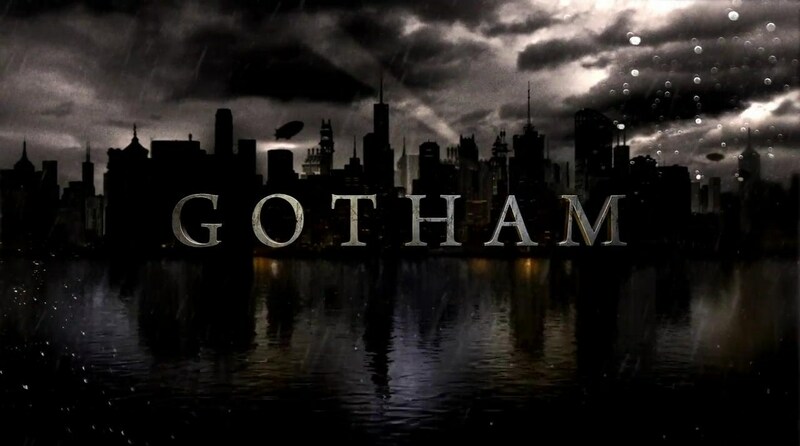 And while it was still drawing a few too many threads across Gotham, the overall quality of the episode was much better than the Pilot and I’m looking forward to seeing what Gotham will bring in the future. As evidenced by the title, this episode has a large focus on the heretofore silent future Catwoman, Selina Kyle. As a teenage street urchin, she prefers to go by the name Cat (or Kat, she didn’t specify) and sees a lot of what goes on around the underarms of the city. The villains are a couple of kid snatchers who reveal later in the episode that they are working for the Dollmaker, someone who I am not familiar with in the Batman universe so that doesn’t give me any clues on that front. They have a very Buffy the Vampire Slayer feel to them, as they look overly normal and awkward, and yet are completely villainous. They are, however a little sloppy as two of the teens get away during the opening sequence. Aside from the normal villain of the week plot, there are quite a few threads being laid out throughout Gotham in this episode. We get to see more of the inherent corruption within the city of Gotham as Richard Kind’s mayor uses the child-napping publicity to round up all the teenage homeless that they can find and send them to juvie upstate “for their own protection” aka locking them up without a trial as Gordon points out. We also get to see Gordon get upstaged by his girlfriend Barbara as she leaks his story without his consent right in front of him, and Gordon also tries to straddle the line between his own morals and keeping his nose clean within the corrupt police department as he denies leaking his case. Something which was technically true, but he did leak it to Barbara who leaked it to the press. He also allows Bullock to rough up a pharmacist who was working with the two episode villains so they can get a lead on the missing kids. It seems like they are trying to show Gordon walking this edge, but it’s one of the weaker points of the show. I’m not sure at this point if it’s a problem with the acting, or just the writing. We also get a bit more time with young Bruce Wayne as he tests his pain tolerance as well as Alfred’s patience, a moment that felt slightly unnecessary but I enjoy Alfred so I’ll let it slide. And finally we get to see Cobblepot’s journey outside of Gotham as he continues to show his villainous side, but also doesn’t have complete success with his plans. The Penguin has a few interesting moments here and there, but for the most part I don’t really care what is going on with him, and he doesn’t feel like he’s turning into Batman’s Penguin at all. As I start writing all of these threads, I’m beginning to realize that even though the main focus of the episode was Selina Kyle, it is still very much as densely packed as the pilot was, it’s just that it’s not setting up the threads, but rather continuing them, I haven’t even mentioned Fish Mooney’s thread yet. The biggest challenge the show has right now is finding the right balance between building all the mysteries and characters that it is setting up, and eventually tying them off and ending them. This episode felt like it spent more time with the interesting characters, like teenage Catwoman, and less time with the others, like Mooney and the MCU who also get a brief scene. I did enjoy this episode more than the pilot, but it once again doesn’t hold up very well to much scrutiny. We’ll see how it fares next week. Until next time, this has been Bubbawheat for Flights, Tights, and Movie Nights. Posted on September 30, 2014, in TV Nights and tagged batman, DC, gotham, review, television, tv. Bookmark the permalink. 6 Comments. Can’t wait to start watching Gotham. It could go either way at this point, but it’s worth checking out at least to see if it works for you. I don’t really like or dislike this more than the pilot. It didn’t really hold my attention much, actually. The only actor I’ve really been impressed with so far is Donal Logue. I think it was the AV Club that said that the show is having a hard time deciding if it wants to be campy or gritty. The villains seemed silly in this episode and Bruce Wayne and Alfred’s scenes were a little weird. I chuckled when we saw young Bruce listening to death metal. Seems weird. And Alfred’s outburst was bizarre but I see where he’s coming from (and I like that actor). The Penguin definitely doesn’t seem like he’s turning into the villain we know and “love”. I’ll keep watching for now. Good review. Heh, yeah that headphones moment was rather chuckle-worthy. I don’t get much of a campy feel to it for the most part, maybe some of the bits with the villains but that feels more like it’s supposed to be tension relief comedy rather than campy comedy. But I suppose it depends on how you view it. And yes the Penguin really has a long ways to go before he’s anything like I’ve seen from him anywhere else. I liked Selina in this enough to add another week to the 3 I was planning on trying it for, so I’d say that’s a modest win for them. Yeah, that’s about where I am on it. Though I’ll probably stick with the whole season unless it really falls off the rails, or I just don’t have enough time to fit it in.